With the rise in childhood obesity, it is common to hear this concern. Child eating habits are crucial to gain control of, because if not attended to, a small amount of overeating can grow into a BIG problem. 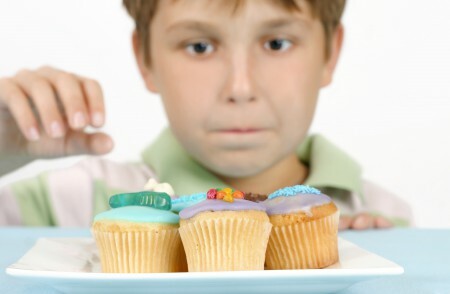 FEED offers a few tips on how to take control of a child that is preoccupied with food. The pantry is like the gatekeeper of a healthy home. If it is flooded with temptations, and excess, there is only direction the family will go, that is, straight into the pantry. Rather than excess, only purchase nutrient dense foods and get rid of the remainder. Have Halloween candy from 4 years ago? Toss it! Keeping that brownie mix for that special occasion? Prepare it and keep them in your freezer to have for a special occasion. Avoid stocking the pantry with too many snacks, for that, if kids see it, they will eat it! Treats are “treats” not daily occurrences. Treats - full of simple sugar, fat, and calories that don’t help growing bodies. However, they are important psychologically. In that, If we don’t include them, and we want them, our body feels deprived, and yearns for the next opportunity to consume them! Take some time out of the week for a treat, and make it a special occasion, however try to limit this to only a couple times per week. Fiber-rich foods keep them feeling full. If you feel full, you are less likely to have a desire to keep eating. Fiber is the best way to achieve that feeling of fullness. Including fiber-rich fruits, vegetables, and whole grains is the easiest way to achieve this. Look at the nutrition facts panel and look for “dietary fiber”. Focus on foods that contain at least 3-5 grams of fiber per serving. Calories from beverages are the easiest calories to save. Try to avoid any caloric beverages in the house: juice (even 100% juice), sports drinks, and soda; these are all sources of extra sugar that isn’t a part of a diet for a growing body. Check out Sugar Stacks to see how much sugar is lurking in our beverages! Want more personal attention? Contact Lara to schedule an appointment for your family.